If you’re a student and would like to pit your photography skills against other student photographers, now’s your chance! Or, if you are a parent who encourages photography as an interesting hobby, now’s your chance too! Sign up for SEEK & SNAP: Chasing Nature, a photo competition specially crafted for students. SEEK & SNAP is a spin off from the highly sought after Canon PhotoMarathon held annually. This photo contest replaces the junior category of Canon PhotoMarathon this year. 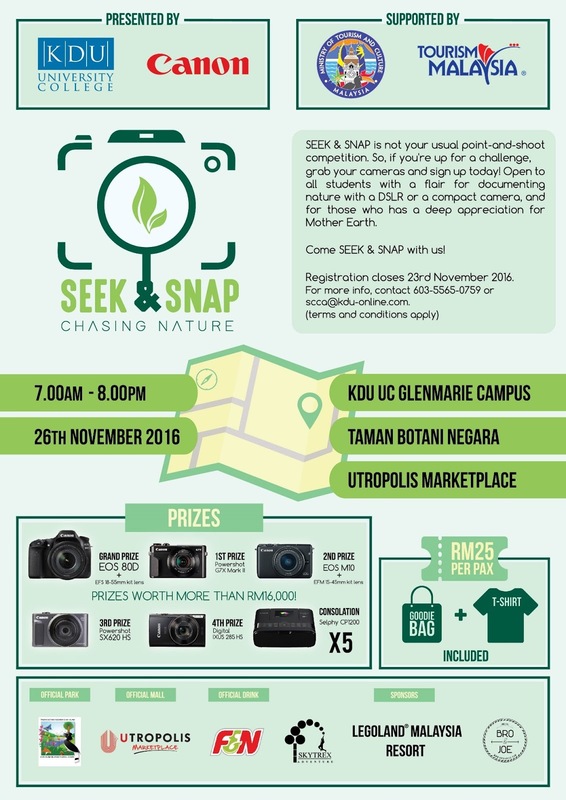 High school and university students (aged 14 and above) are invited to join in the excitement of capturing the elements of nature at Taman Botani, Shah Alam with any DSLR or compact camera brand. Explore the exciting Skytrex Adventure and capturing photos according to the given competition themes. What’s more, there are prizes worth RM16,000 to be given away! This contest is presented by Canon Marketing Malaysia and KDU University College, and supported by the Ministry of Tourism & Culture. 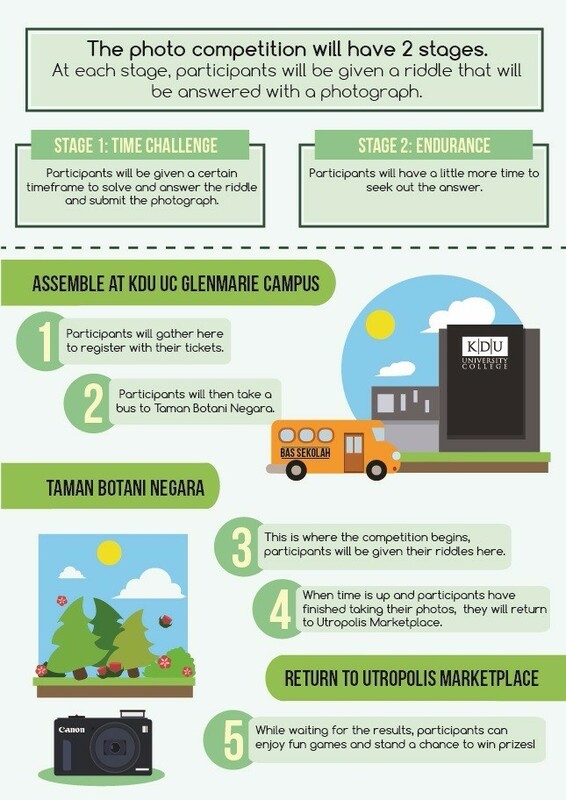 Transportation is provided to and from KDU University College Glenmarie Campus and Taman Botani Shah Alam .The participation fee is inclusive of the transportation and entrance fee at Taman Botani and Skytrex Adventure. Exhibition booths, exciting games and lucky draw surprises will take place from 4pm onwards at Utropolis Marketplace (next to KDU UC). Register via the online registration form now! Hurry, registration closes on 23 November 2016!